Zen Den Yoga School provides the yogi and yogini with a safe and nurturing environment to grow and practice the yoga lifestyle. We’re not your average yoga school. In all of our yoga classes, yoga teacher training programs, and yoga retreats, we adhere to the true meaning of the word YOGA: to yolk or bring together. Our belief is that all yoga systems are on the same path, therefore, we embody many traditions of yoga, honoring the diversity of our gurus. We facilitate various forms of yoga including ashtanga-inspired vinyassa, sivananda, hatha, yin, restorative and many other traditions. Zen Den Yoga School has created an environment where yogis and yoginis of all demographics and physical abilities can practice and learn yoga in a nurturing, loving environment. The philosophy of Zen Den Yoga School is that all people have the right to experience the healing and joy of yoga, regardless of socioeconomic status..
We uphold the premise that all beings are an embodiment of the divine, the Supreme Consciousness, the highest Self. Deepest respect is given to all of nature, as it is created for our delight. We honor the yin and yang, the Sun and Moon, the male and female, by offering devotion to Life itself as a manifestation of the state of Grace. It is within this state of purity that we realize our deepest desires, reach the highest stars, and dance in the glory of achievement. It is the intention of Zen Den Yoga School & Studio to awaken the Truth in each student who enters the door so that, whether on or off the mat, the beauty and love becomes far-reaching. 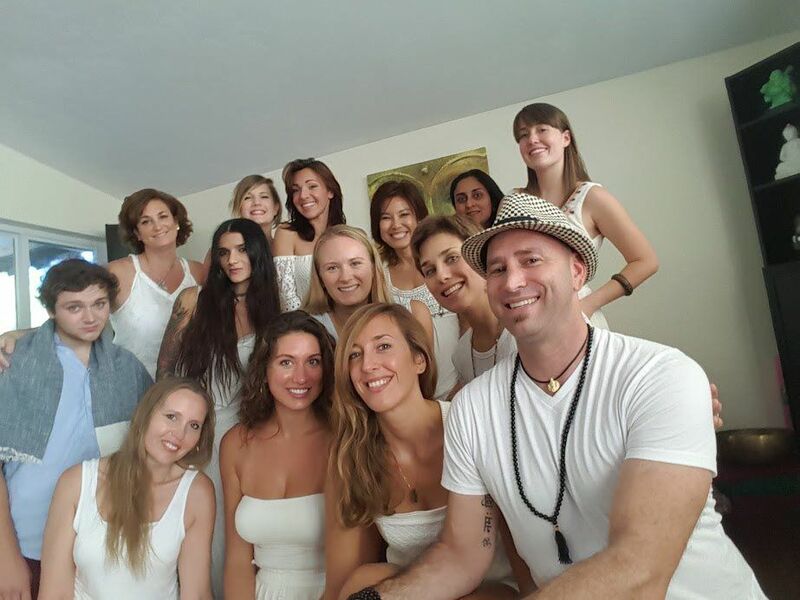 Zen Den Yoga School practitioners, when embodying the Zen Den teachings, will find growth in unexpected areas, develop a greater sense of compassion, and become inwardly strengthened as they travel the path of the light. This path is an ever unfolding and evolving inner journey full of desire, passion, and breakthroughs. Zen Den Yoga School warmly acknowledges, respects, and invites everyone to join us in this journey and celebration of life! Zen Den Yoga School teaches Sadhana yoga, a spiritually grounded practice. We believe yoga transcends physical practice and is ultimately a vehicle for spiritual insight. Sadhana yoga draws mainly from the traditions of Sivananda yoga and Ashtanga yoga. The contrasting influences of these two traditions can be experienced in Zen Den Yoga Schools primary Flows: Sadhana Chakra Hatha Flow and Sadhana Vinyasa Flow. Sadhana Chakra Hatha Flow is a slower, meditative practice inspired by the Sivananda tradition, while Sadhana Vinyasa Flow is a faster, heating practice inspired by Ashtanga. Sadhana yoga secondary influences are multiple and include Iyengar yoga, Anasura yoga, Integral yoga, Kundalini yoga, Shamanic healing, and Energetic healing arts such as Reiki, Tai Chi, and Chiqong. In addition to our primary Flows, Sadhana Chakra Hatha Flow and Sadhana Vinyasa Flow, we also offer training in teaching Sadhana Gentle Flow, Sadhana Restorative Yoga, and Sadhana Shamanic Yoga.